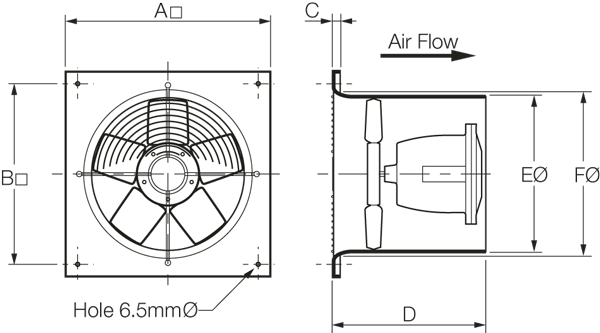 The Flameproof Square Plate axial fans have been specifically designed to meet the needs of ventilation applications in hazardous or explosive environments. They are ideal for wall mounting but can be mounted at any angle and on the ceiling if required. 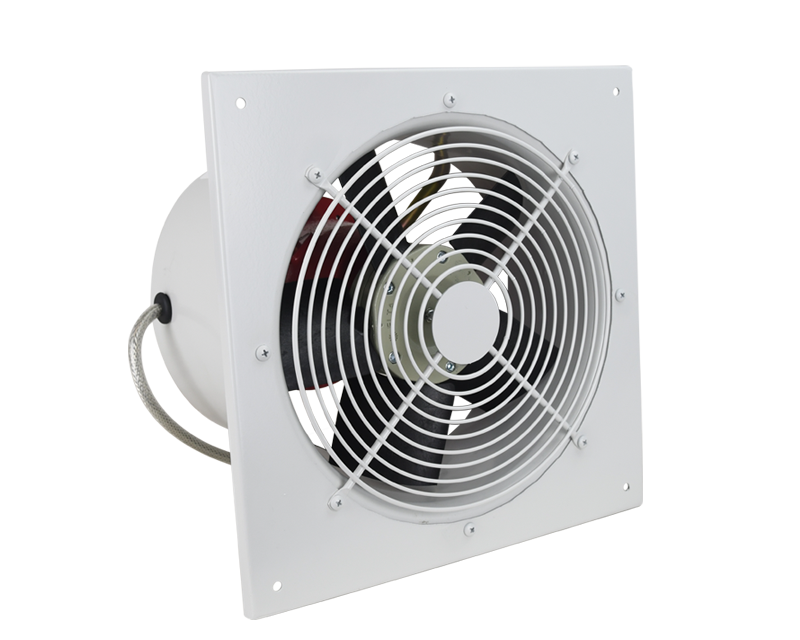 There are 4 sizes in the range extending from 250 to 400mm diameter. Robust galvanised steel square plate with white powder coated finish. 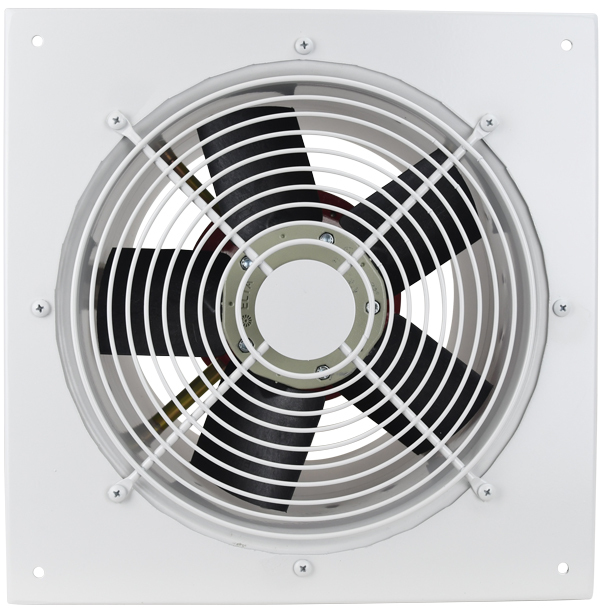 Fitted with high strength guards to reduce the risk of objects entering fan. A Hazardous Motor Confirmation form, S12, will need to be signed prior to an order as proof of zone and gas group classification. Call Fantech Trade for this form upon ordering.